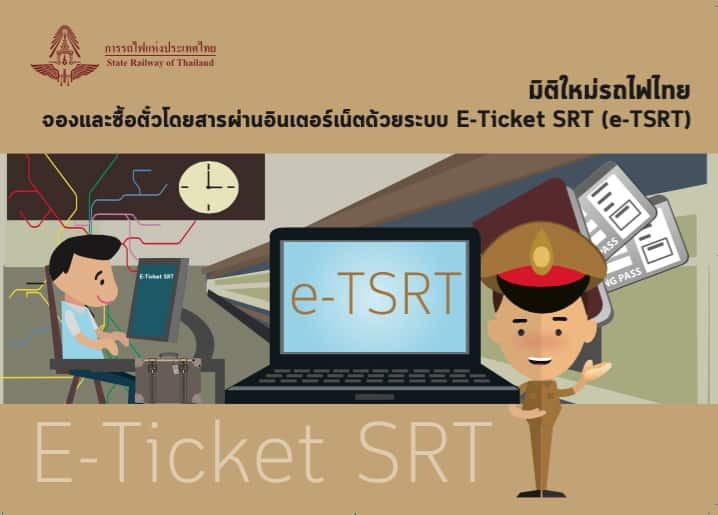 From 1 February 2017, State Railway of Thailand (SRT) is restarting its online booking system, now re-branded as E-Ticket SRT (e-TSRT), with the ticket as a .pdf file which pops up after a successful payment and is emailed to your account’s email address. Simply bring the A4 printout to board the train. 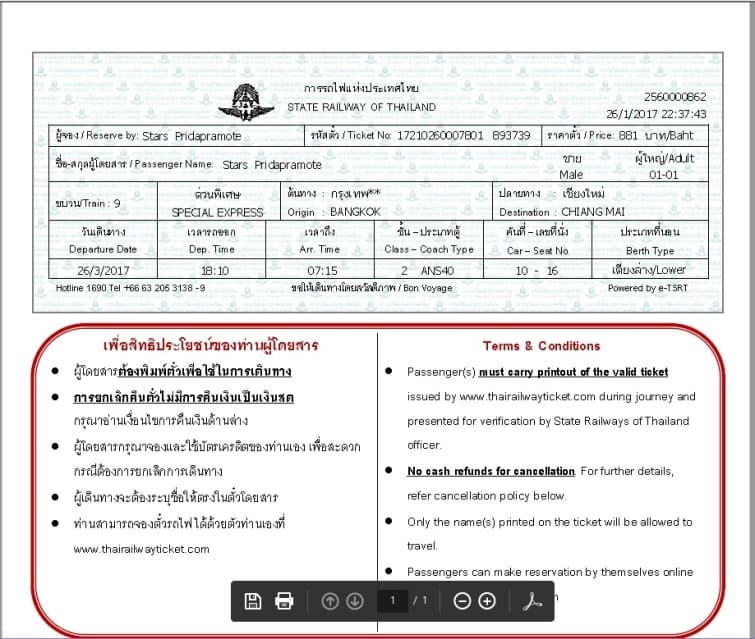 The SRT will charge an additional service fee for online purchases — 40 baht for a first-class ticket, 30 baht for 2nd class, and 20 baht for 3rd class. 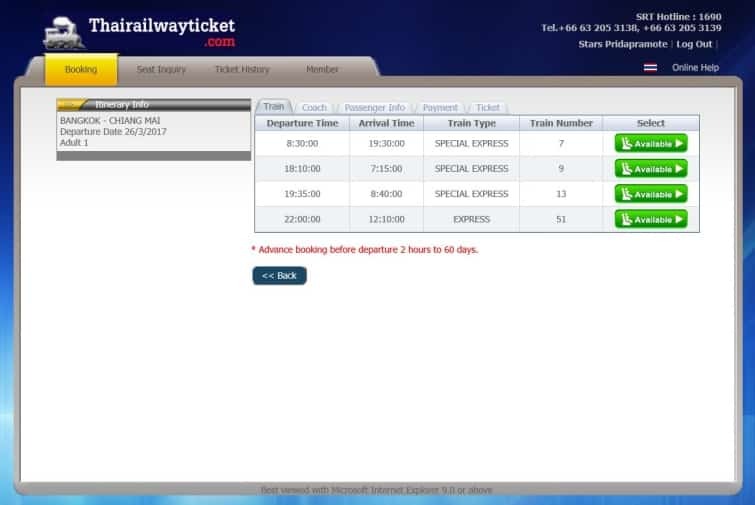 Passengers will be able to book the tickets from two hours, to up to 60 days before departure. 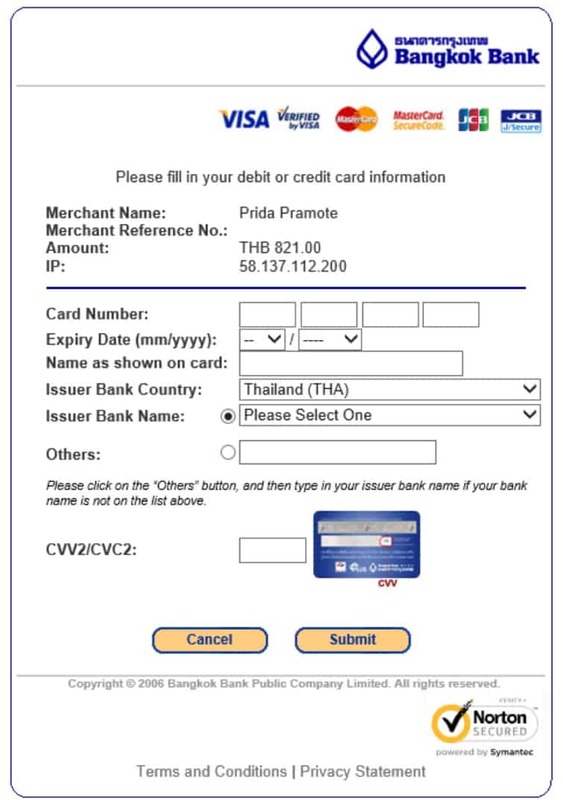 Below are the steps on how you can buy Thailand Railway E-Ticket SRT online. 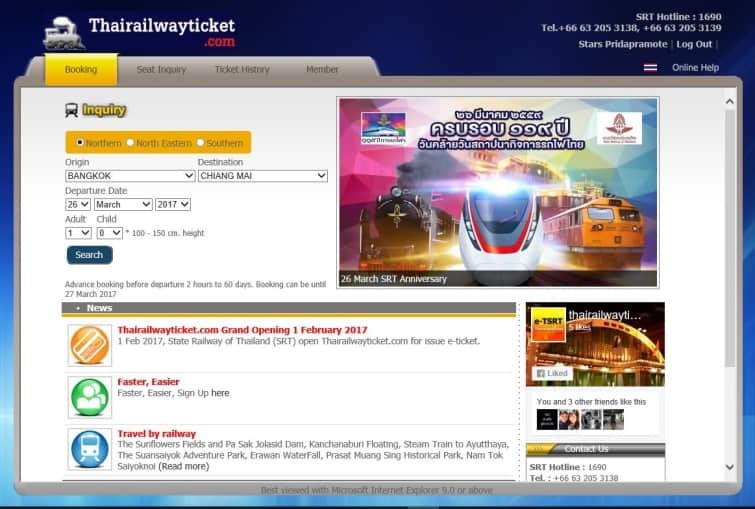 First of all, go to Thailand Railway website. Click on Booking and you will get the following options under Inquiry. 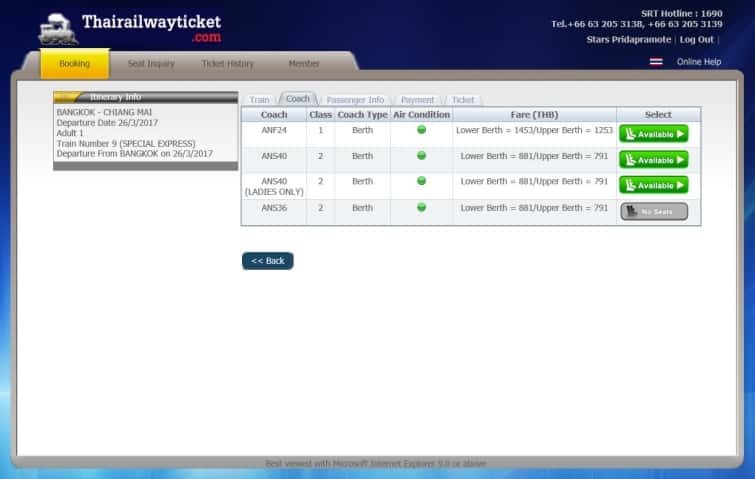 Next, select route, origin station and destination station, departure date and number of passenger(s). Note: You will first need to register for an account with them before you can make online booking. Choose a train. If there are seats available, the select button will be shown as green button. Click on the preferred coach number on the Available button. Fill in passenger information and select the seat. There are 2 options for seat selection, Automatic and Manual.By selecting Manual Seat Selection option, the web page will be redirected to the following page by giving seat selection screen. 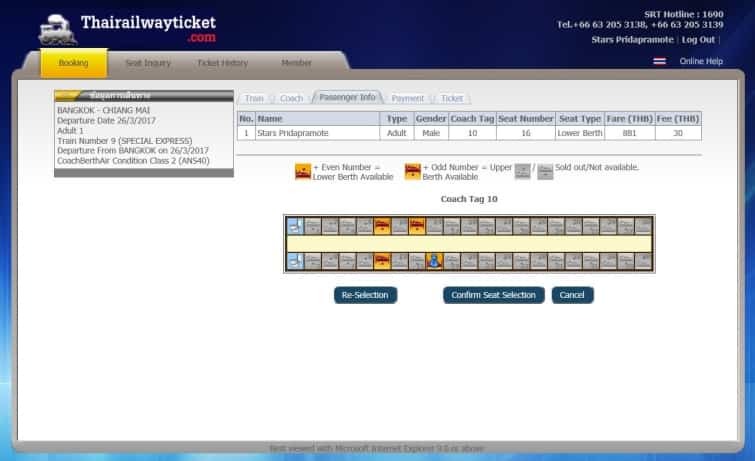 By clicking on the seat number, the passenger or customer can select the seat and by pressing Confirm Seat Selection button, the selected seat is confirmed by the system. Now, select your preferred payment options. 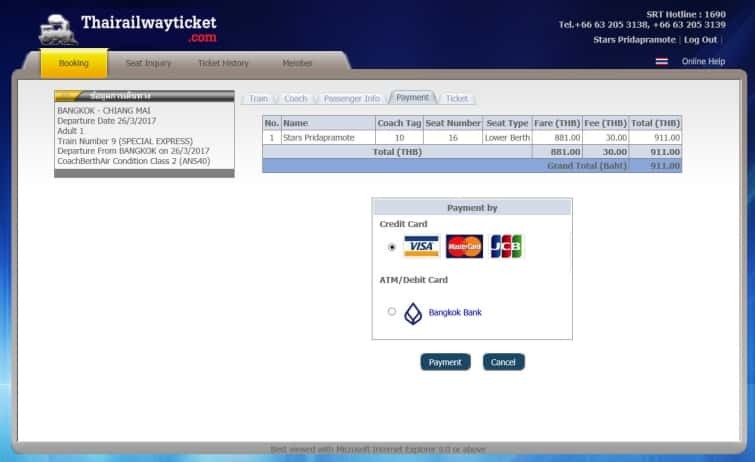 Validate your itinerary information fare and fee then click confirm your payment. Make an online payment by BBL payment gateway. 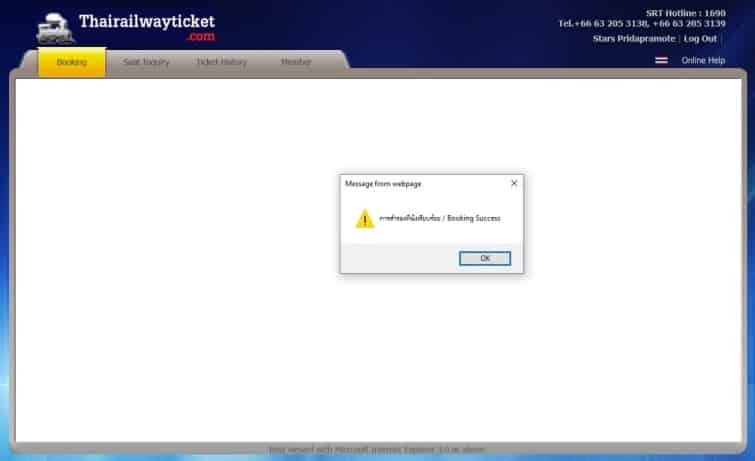 When done, The system will be come back to Thairailwayticket.com and show message box Booking Success. 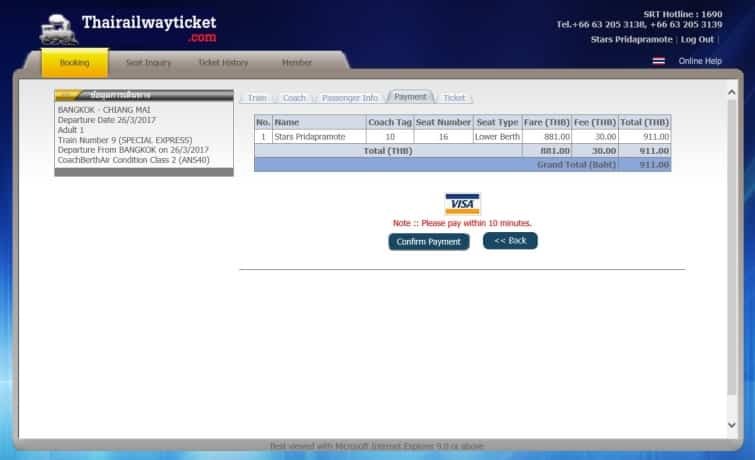 When done, the system will be pop up the e-Ticket as pdf file and a copy of pdf file will be sent to your e-mail. 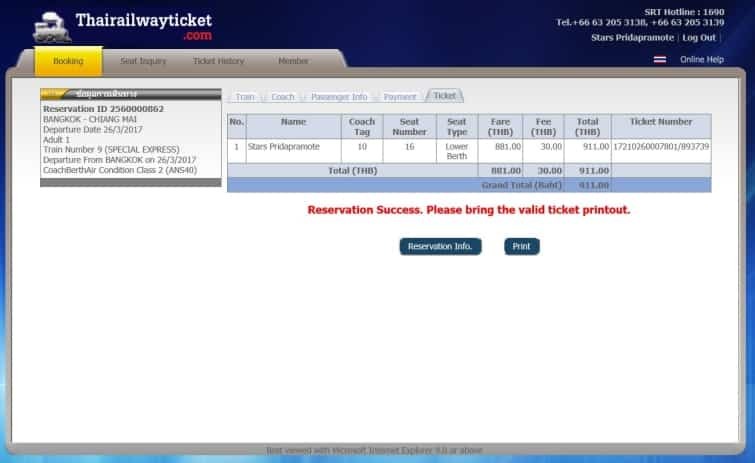 When closed pdf file, you can see booking success as below. 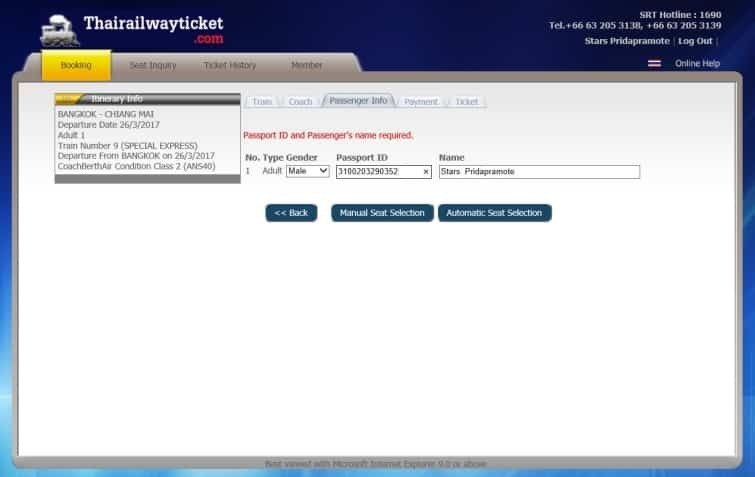 Thailand SRT Train Booking via 12GO Asia.